Welcome to my first President Blog for 2018, great to be able to keep in contact with fellow alumni. It has been quite cold in Winterset, but hopefully the temps are beginning to change and warmer weather is close at hand. In the olden days, we were not too concerned with wind chills or cold weather—just went about our day and enjoyed being with classmates at school and being involved in after school activities. Winter events included wrestling meets, basketball games, vocal and instrumental programs, school plays and many more. There was also enjoying movies at the Iowa Theater (which we can do again since it has reopened), working, and leisure activities outdoors. 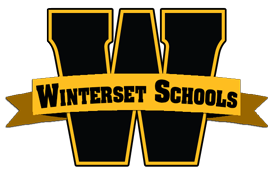 As I reminisce I am reminded that the Winterset Alumni Association began back in 1987 or 1988 and many of you joined then and hopefully more alumni will decide to become a member of this great organization that is dedicated to keeping in contact with all alumni from WHS. We currently have 979 members and sure would like more alumni join. Membership gets you the Husky which is published 3 times per year, a data base of class members for class reunions and knowing that you are keeping the Alumni Association going. Your Association has in the past made a new trophy case for the high school, established a memorial plaque for remembering alumni and we are currently helping WHS develop an Alumni Hall of Fame. All these were started with ideas coming from alumni remaining a vital part of the school district and community. So, JOIN and be part of this awesome organization. The newest edition of the HUSKY will include many pictures of the All Class Reunion held during the Bridge Festival. Enjoy and be sure to thank your editor, Carol Bassett, for her outstanding dedication to the Association. A continuing item of importance to alumni is to please only use the web site that is for our association. There is a site that some have gotten on which says it is the Winterset Alumni site. This is incorrect so please do not sign up for their products or membership. Please avoid this site. Their email address is www.alumniclass.com/winterset.